If I had a studio space to call my own I would have a lot of fun decorating it. Big empty walls and mirrors, windows and doors at my disposal. I would be in dance studio heaven. Since I don’t have my own walls, my refrigerator is decorated with splashes of color and drawings of interpretations of what my students are learning in class. It’s pretty thoughtful that they think of me while they are drawing, don’t you think? As I collected the drawings on my fridge, I knew there had to be a way to use all of that artistic talent in the dance room. What is on your studio walls? Posters of dancers? Quotes? Pictures of your students or of the faculty? If I had a studio space to call my own I would decorate it with student work. Dance and art are so closely linked I thought it might be fun to come up with some ways of connecting what you are teaching to your preschoolers in class to an “art project.” Simple, creative ideas that will show the parents you are educating the whole child. Plus, decorating the walls with your students work adds a sense of personality and love to your building. One of my friends did this lesson with her preschoolers and made a bulletin board using their art work. I loved the idea and asked her if I could share it with you. If you are teaching shapes to your students this is an easy way to connect what they are making in their body to a visual. Ask each student to create 4 shapes with their body. For example, shape 1 is round, shape 2 is bent, shape 3 is straight, and shape 4 is twisted. Ask the students to memorize their shapes. Ask specific questions like “where are your arms?” “is your head up or down?” This will help remind them of what each shape looks like. Next, pass out the pipe cleaners and ask them to make their 4 shapes with the pipes. They are so flexible (kind of like bodies) that they lend themselves to making shapes really well! Put them in order and viola, you have shapes to hang up. For education sake, it might be helpful to put them on construction paper and write under each shape what the student created and what they say about it. “It’s a twisted like a pretzel.” Parents and visitors to your walls will feel very connected to your students and the content they are working on. The neatest part this idea is that every shape is different! Creating circle dances and doing patterns with your preschoolers? 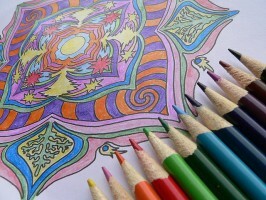 Passing out Mandalas are a fun way to let them express themselves as they color theirs in. My students love patterns and I think its because at this age they are learning about them at school. As they are coloring the Mandalas, tell them about circles and what they mean. My saying is “a circle is unity and community. You can see everyone and they can see you!” We talk about things that are circles like the sun, the moon, and flowers. My goal is to connect things to real life as much as possible and I think this project does exactly that. Plus these patterns look so pretty on your walls, even if the colors go outside the lines. If you are doing a lesson on tempo, beat, rhythm, or counting this game is for you! Give each student a piece of paper and a few crayons. Ask them to close their eyes. Play the music and ask the students to “dance” the crayon on their piece of paper. Choose different types of music, maybe one classical, one with a beat, and one fast. Then flip from one song to the other. They keep their eyes closed the whole time and just listen. I say 2-4 minutes is long enough. Ask them to open their eyes and look at their drawing. See if they can find the places on paper where you were playing the classical music or the fast music. Maybe the song with the beat made darker lines or dots and maybe they used a lighter color for the classical piece. 1) Talk about their experience. Did they like or dislike the project? 2) Talk about how it made them feel? 3) Was it easy or hard? 4) Analyze the shapes in their body or their musicality now. Do they have a better understanding of the lesson? 5) Brainstorm other dances you have done, and what projects might connect to that lesson. Have fun decorating your dance room! Disclaimer: These projects are appropriate for ages 3-6, however make sure your dance room is set up properly for projects that give crayons to little hands. 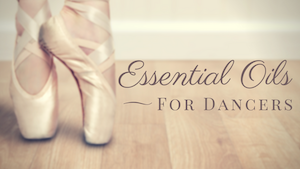 Have you decorated your dance room with your students’ work? Would you ever try it? I can’t emphasize the value of decorating your dance space. And think more studio owners should invest in it. I am now opening my second studio (BellyUpBellyDance Studio) and we’re known as an oasis for bellydanders. Vibrant paint colours, fabrics and draperies, colourful silk saris, sumptuous pillows, Arabic lanterns everywhere, ottomans, Arabic art … all to create the bellydance vibe the moment the student walks through the door. I didn’t have a huge budget but I do have a vision of the type of dance space I would want to be in. To me dancing in a beautiful space is akin to wearing a gorgeous costume … it just makes you feel better about what you see in the mirror. Bellydance is festive and my students like to dress up alot. They take care with what they wear to class and how they look at the studio. This is not a prerequisite but I believe the ambiance we have created encourages women to take care of themselves when they come to class. They enjoy the dressing up part of being a bellydancer and the vibe we have created with just making our decor delicious has paid off tenfold. I would love to attach some photos of our studio but didn’t see that your blog permitted that. You’re welcome to visit http://www.bellyup.ca and there are photos and video of our studio there. Thanks for posting a great topic. I love decorating and I didn’t have a big budget to do so. There are many ways to do it without breaking the bank. Joharah- Your studio sounds beautiful. I am glad you enjoyed the article and thank you for sharing with us your ideas for decorating on a budget! Great advices! My students will love this projects. Having a chance for them to express themselves and then talk about it seems to be great. Thank you for sharing!